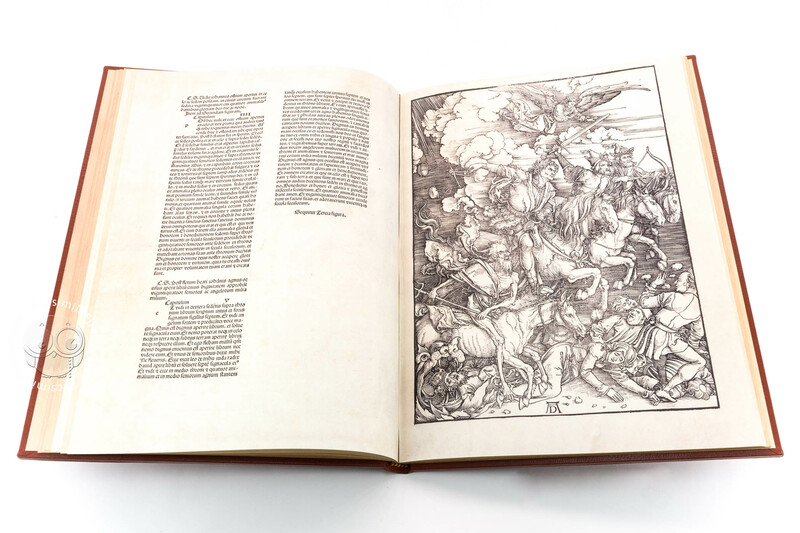 Albrecht Dürer is the most famous artist of the German Renaissance, universally known thanks to his pictures, drawings, engravings, and theoretical writings on arts. 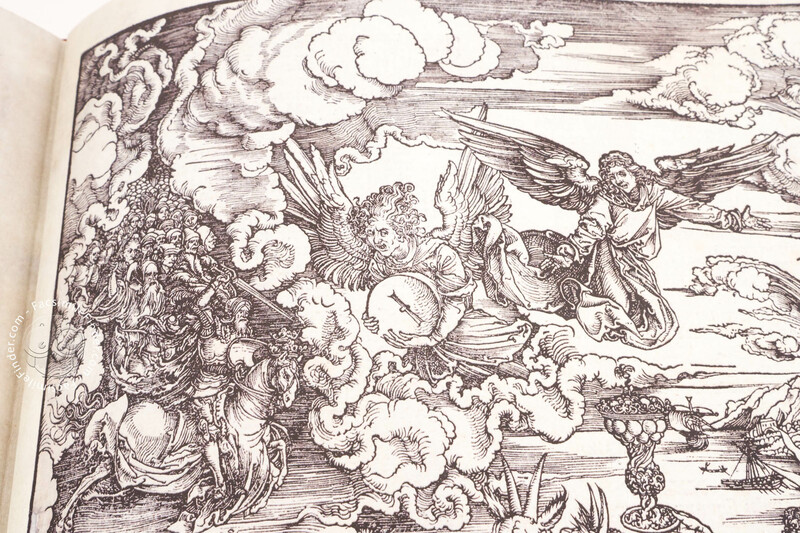 His works had a deep influence on the German and Netherlands artists of the 16th Century. 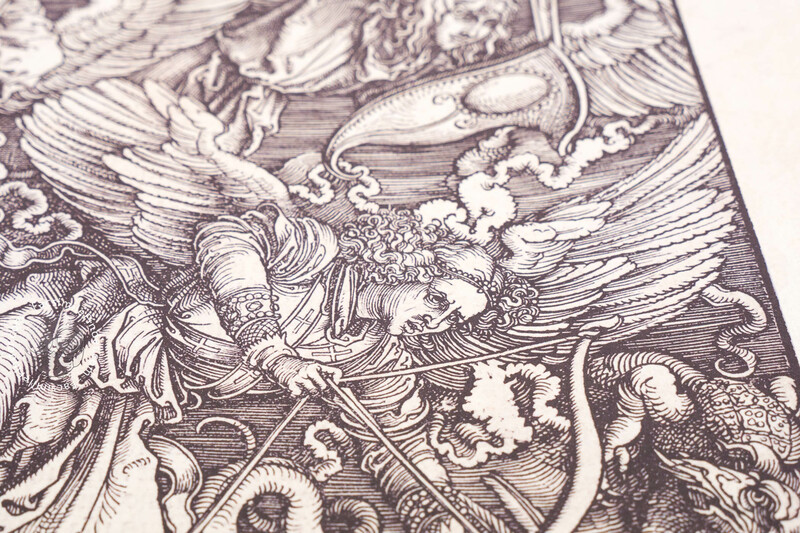 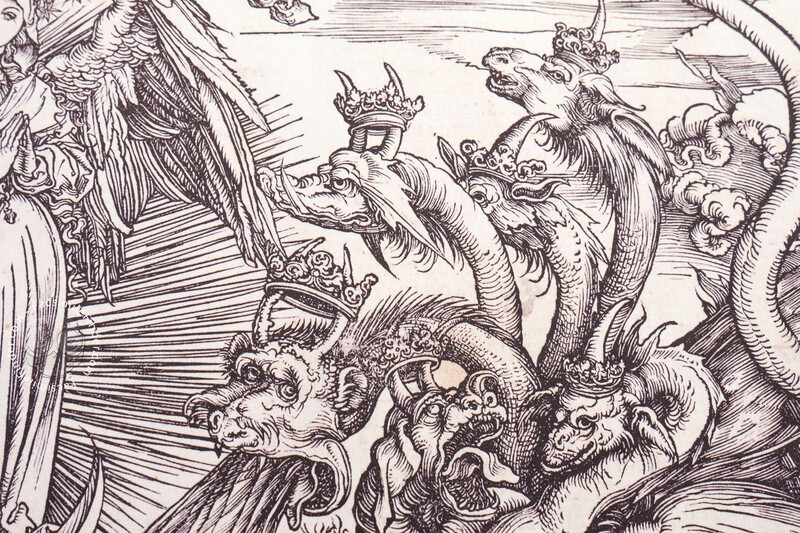 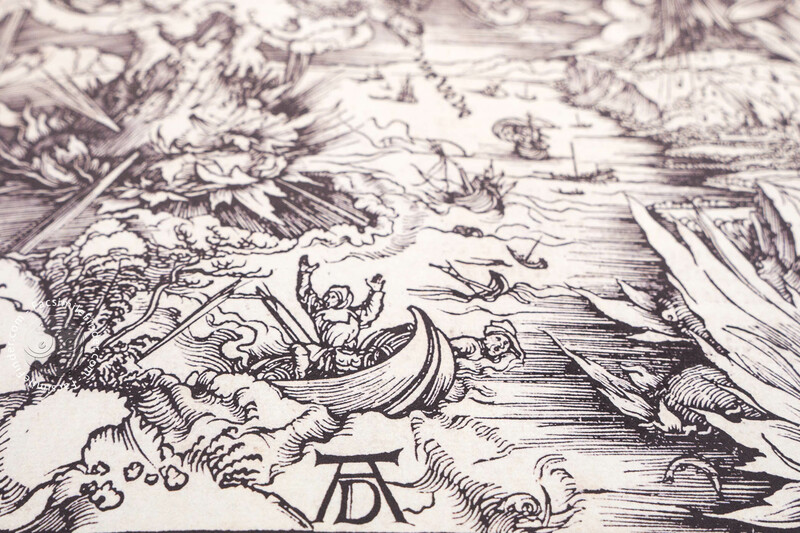 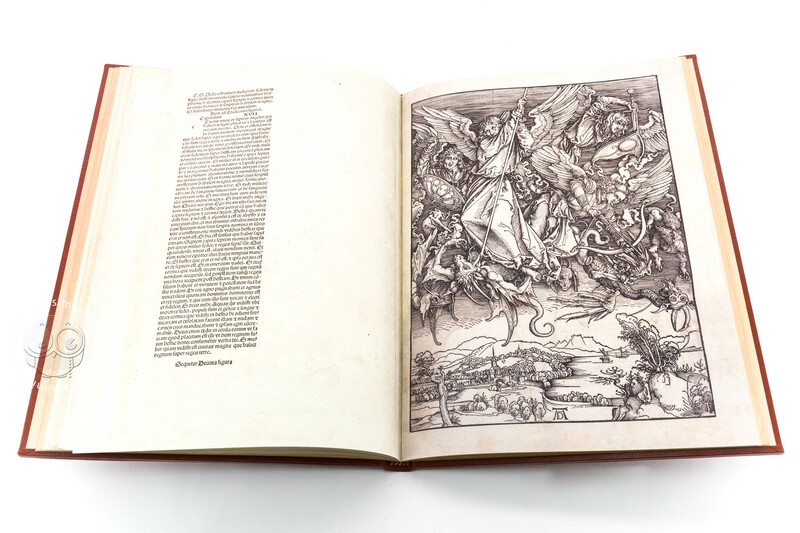 When he was 27, Dürer realized his first major work, a carved masterpiece: The Apocalypse. 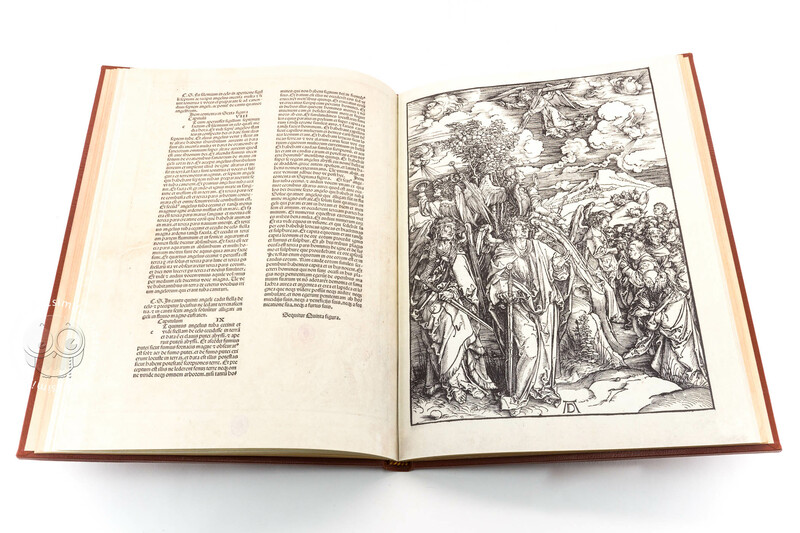 It consists in a series of engravings dating back to 1498, which are considered a gem in of the engraving arts. 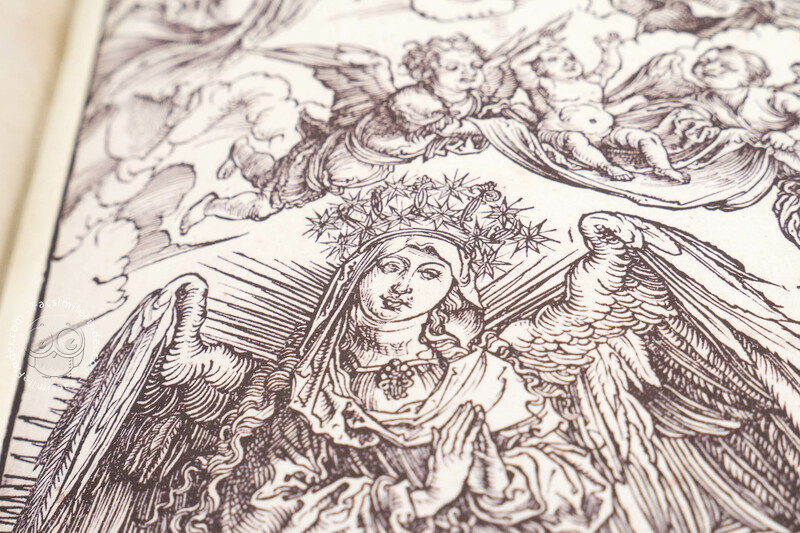 This engravings were realized upon his return from his first journey to Italy, when he was becoming a mature artist. 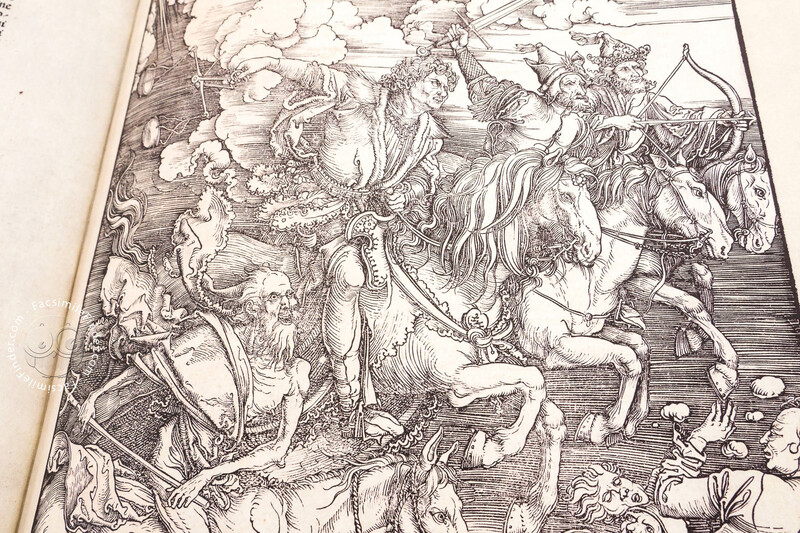 The Apocalypse is a wonder of the German art. 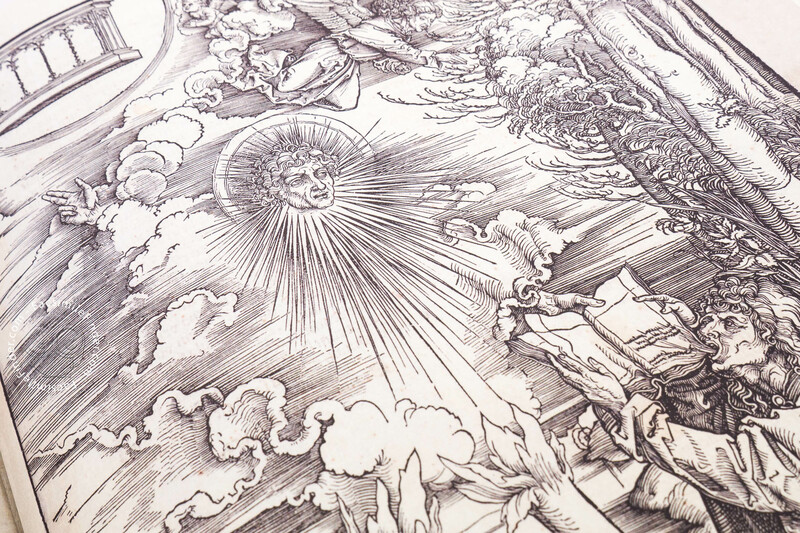 Even though the artist’s spirit is still dipped in the Medieval arts, his personality shines through. 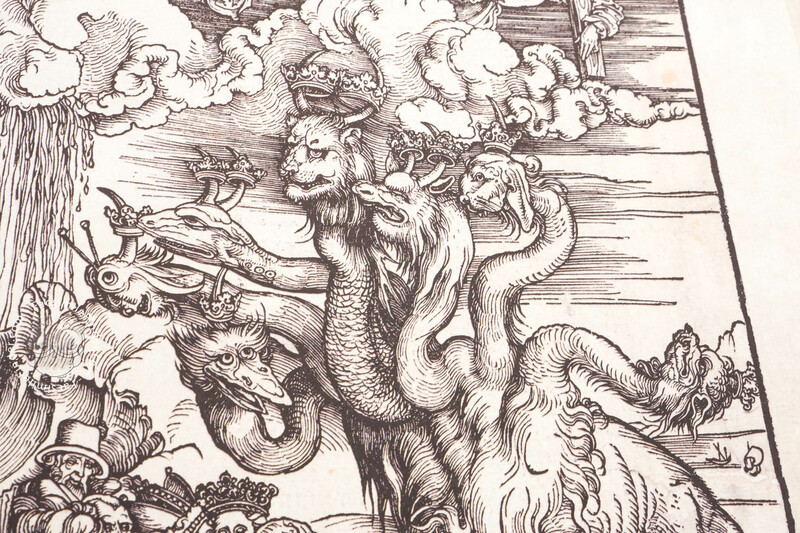 This was the fist work to be publish entirely at the expense of the artist. 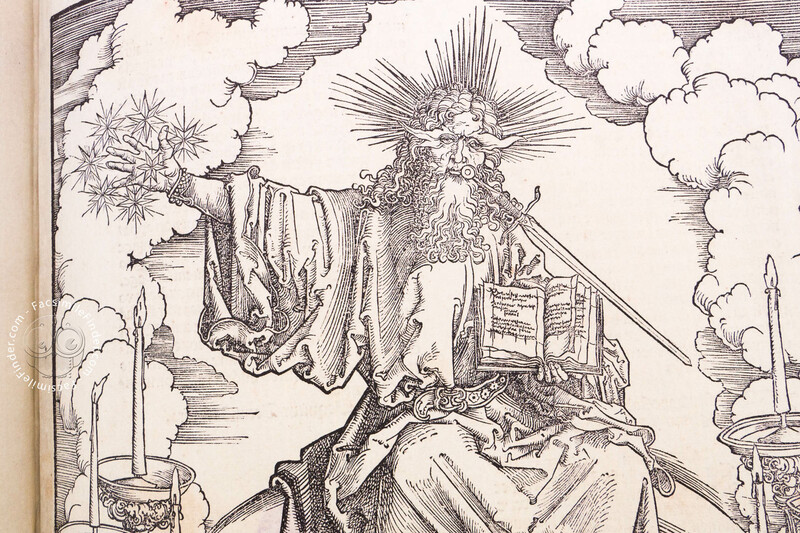 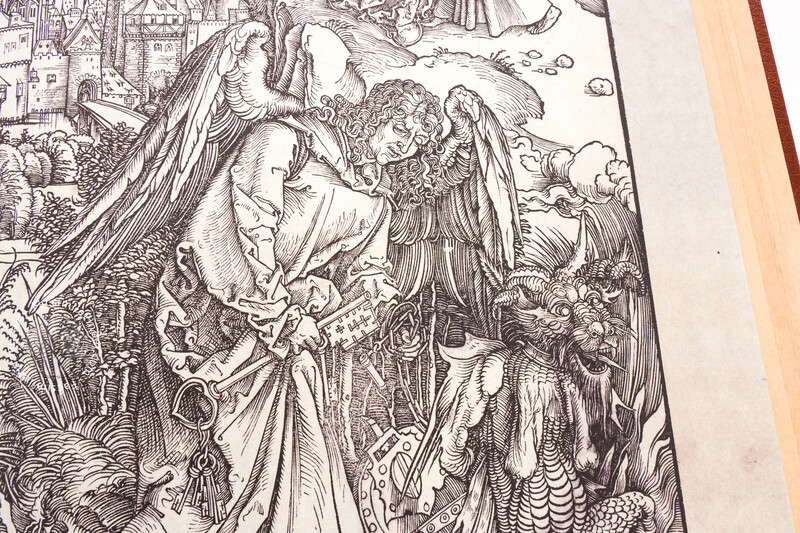 Before, the artists searched for a patron, who financed their arts, but Dürer was so certain of the success of his work that he didn’t hesitate to sponsor the Apocalypse himself. 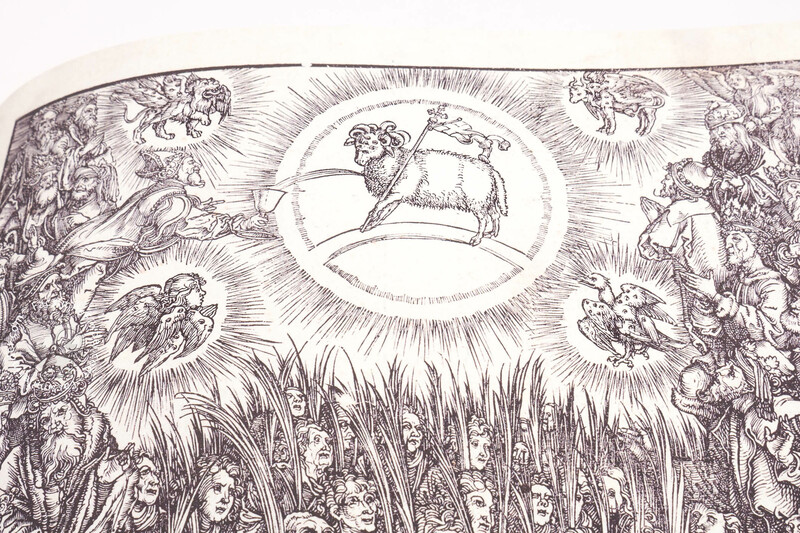 The older illuminated Apocalypses had a distinct format, with full-pages illuminations throughout the volume, and little miniatures inserted amidst the text or with images explained by captions. 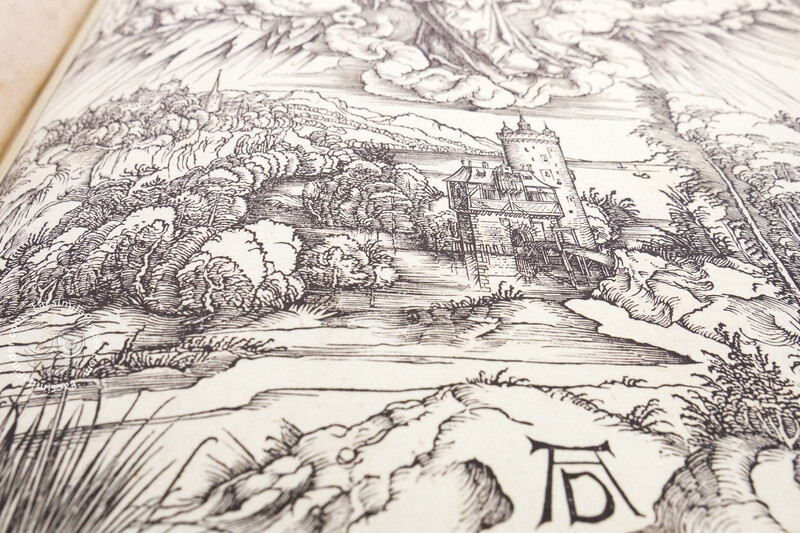 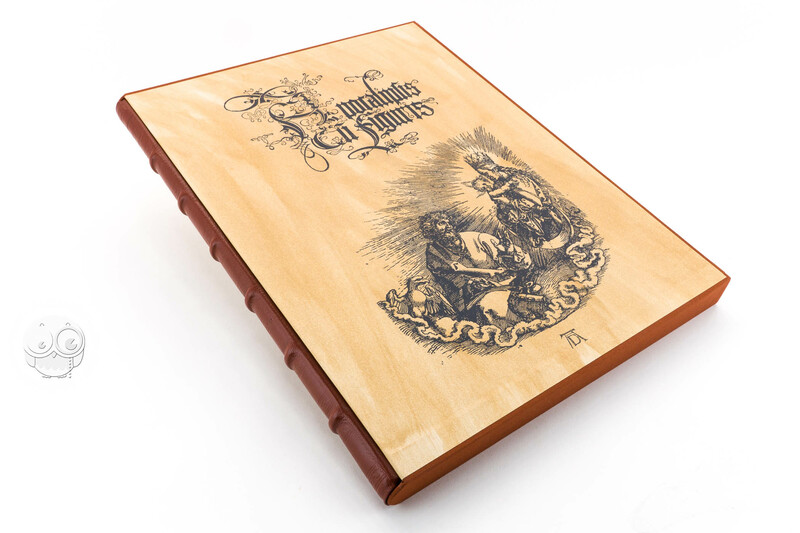 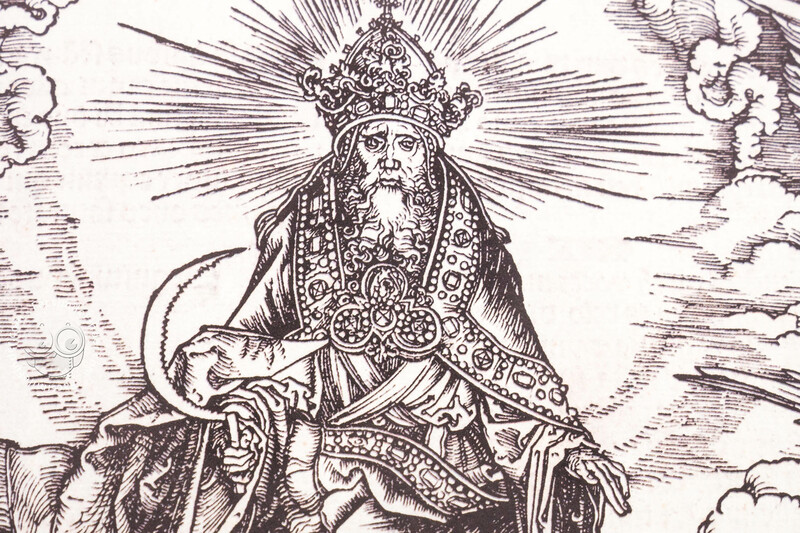 Dürer left the page’s beam for the engravings, and put the text along the back. 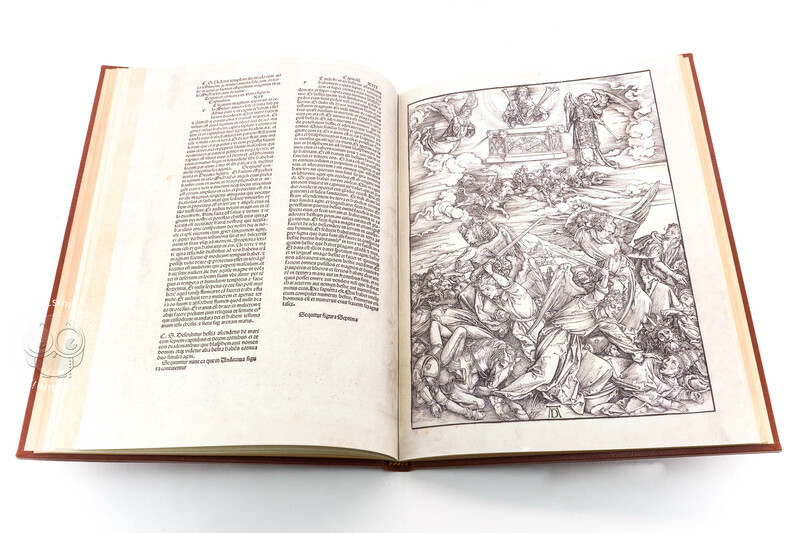 Previous artists counted on colors in order to complete the strong effect, but Dürer did not need the color: he obtain overflowing images only with the use of black and white. 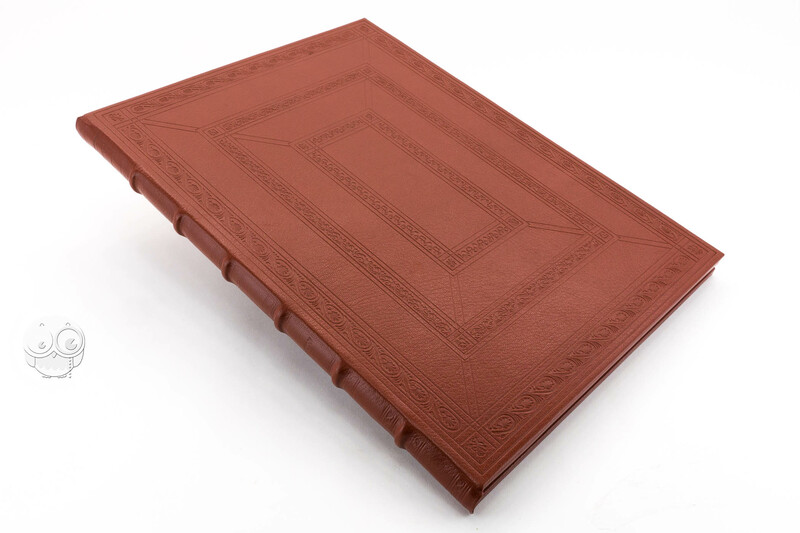 Printed book on paper − 39.3 × 29.3 cm − 15 pp. 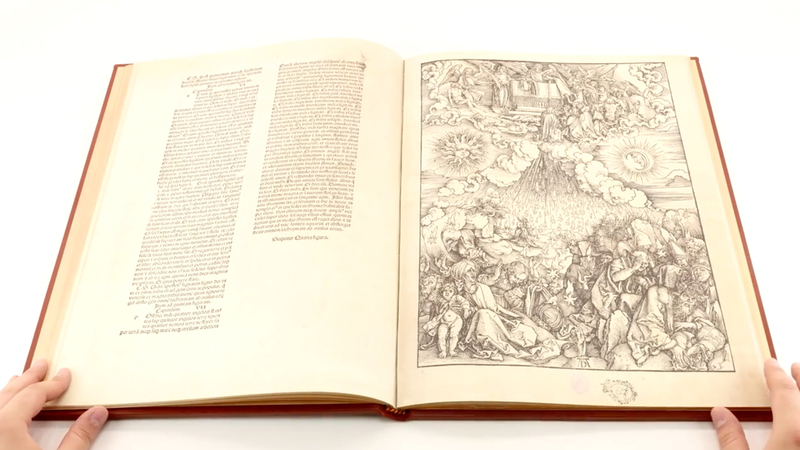 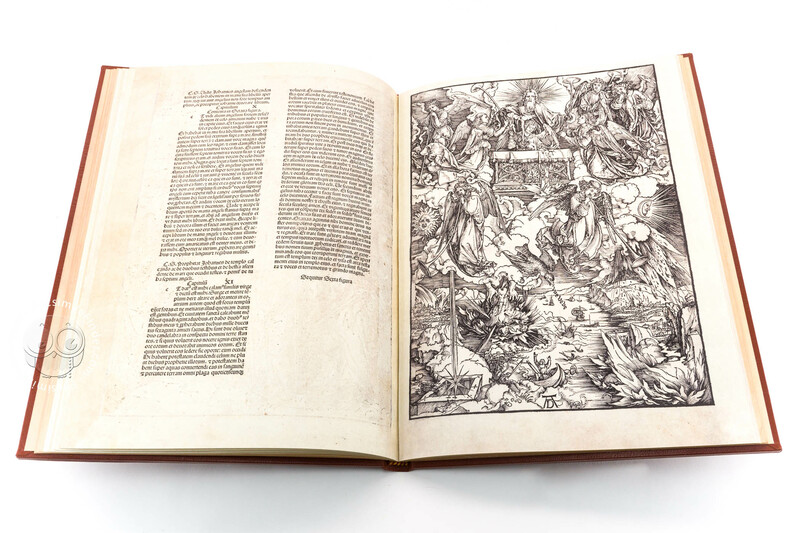 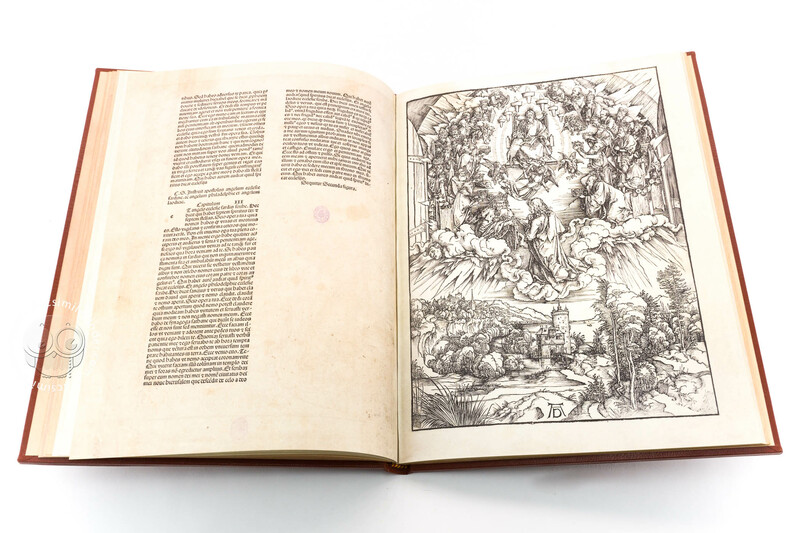 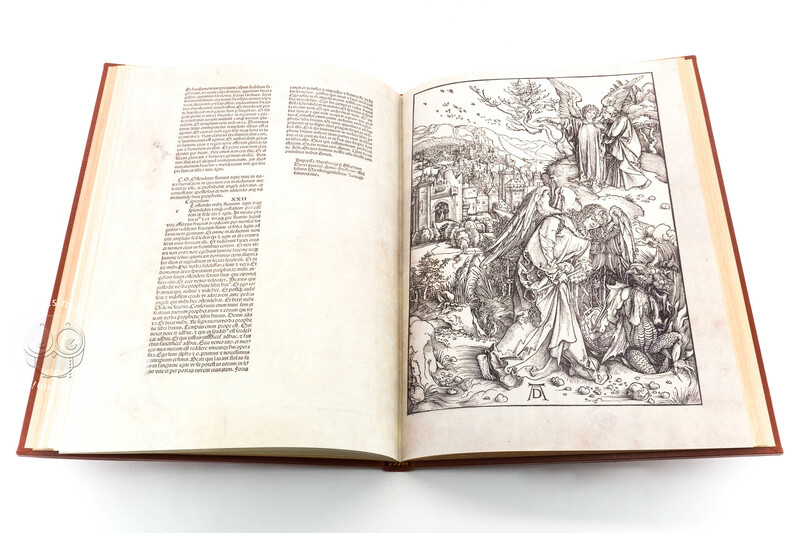 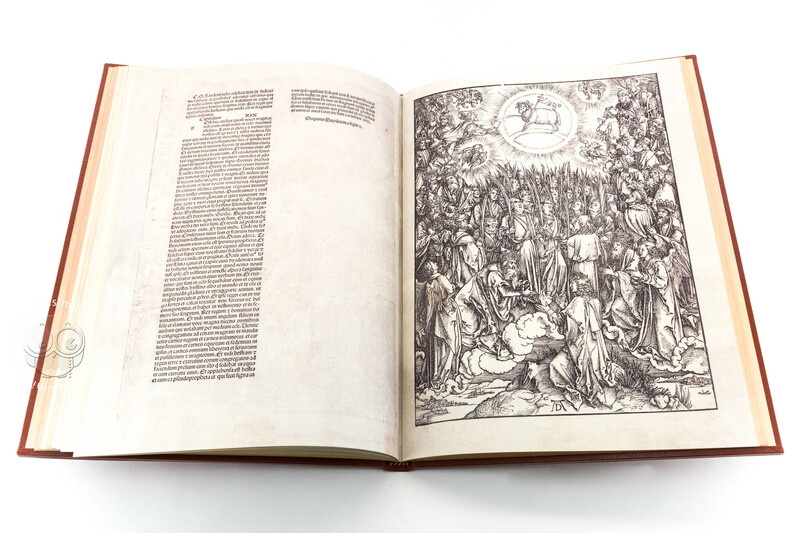 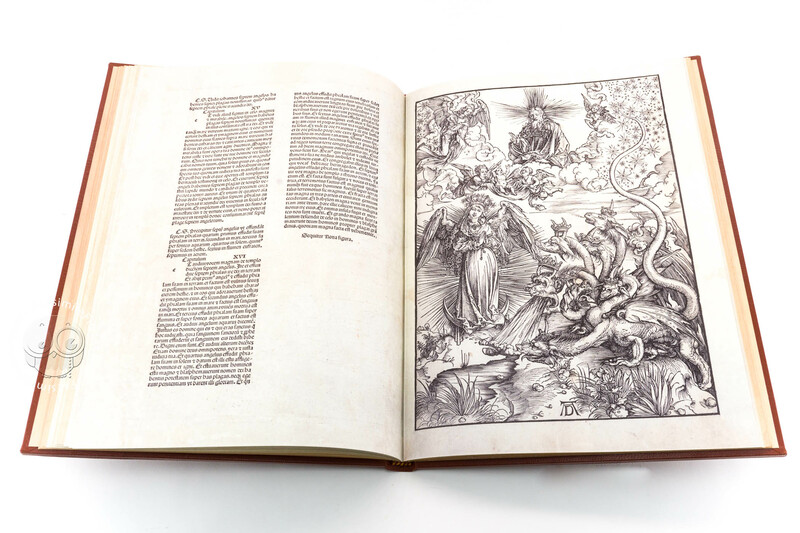 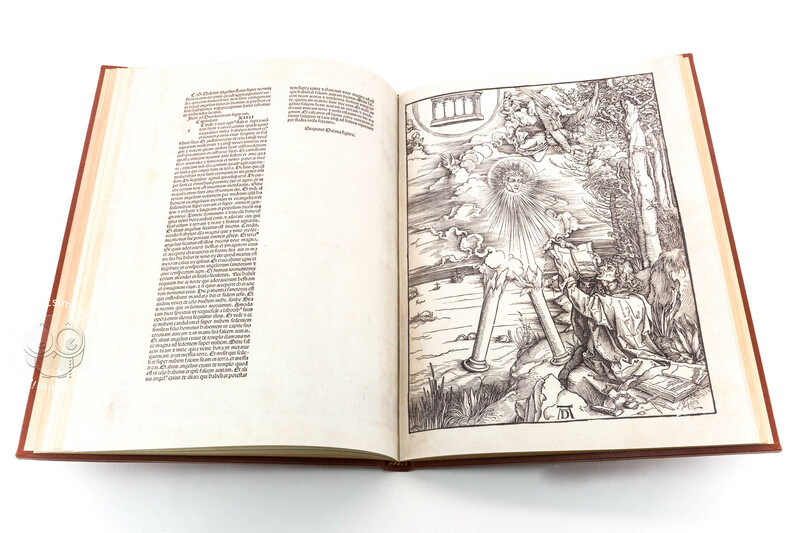 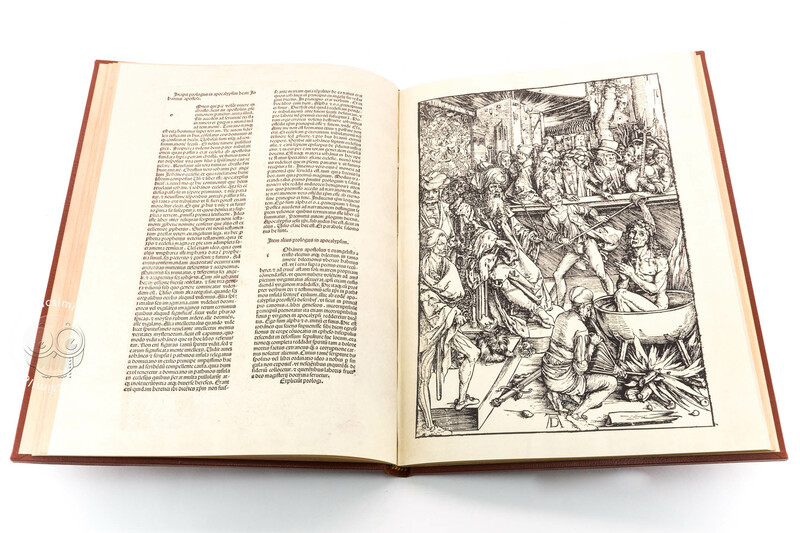 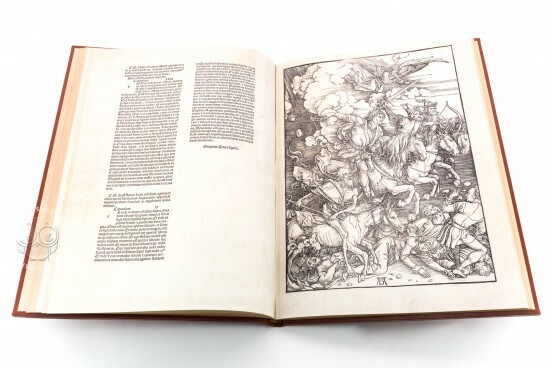 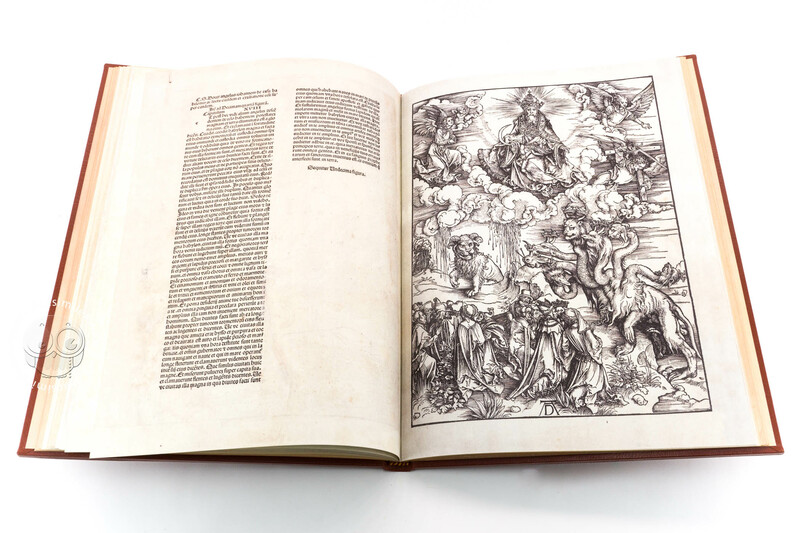 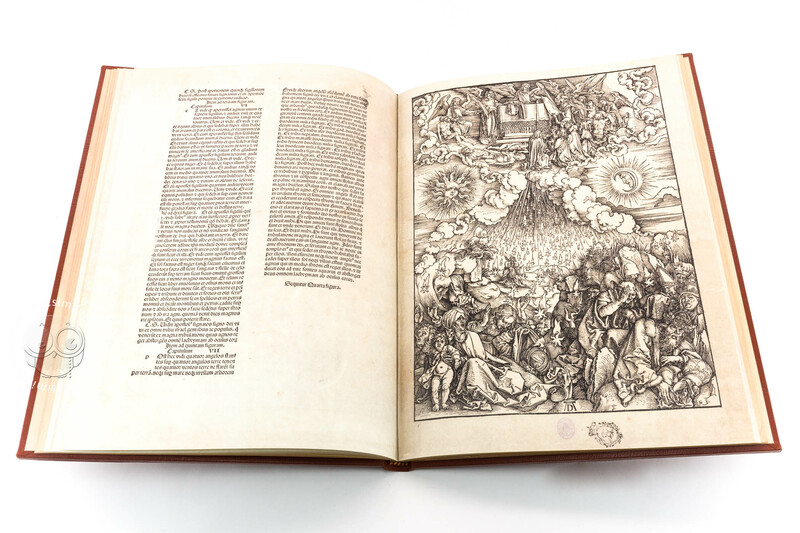 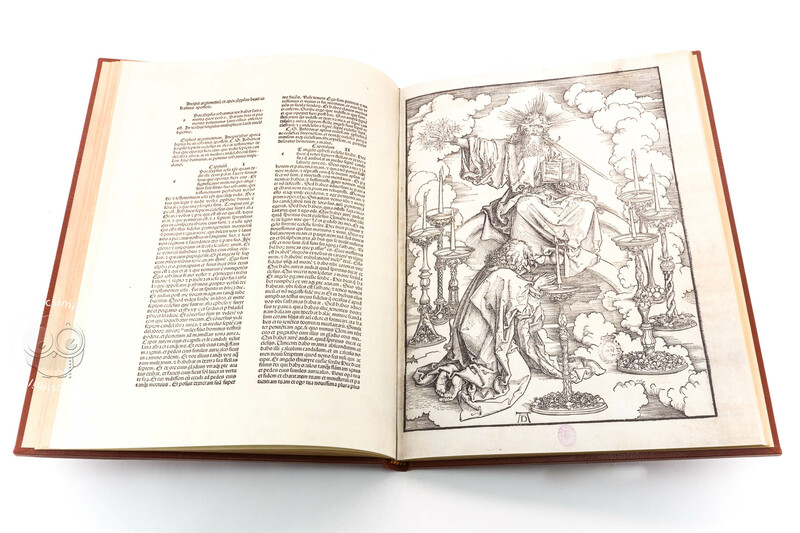 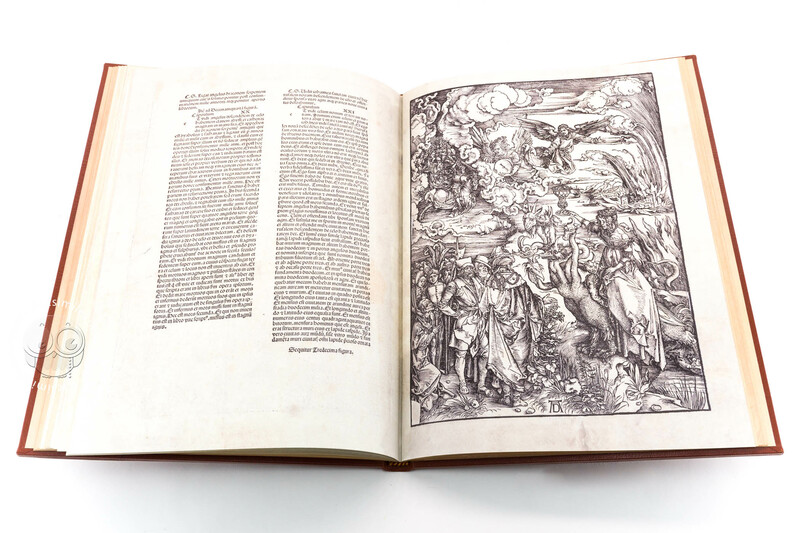 Full-size color reproduction of the entire original document, Apocalypse with Pictures by Albrecht Dürer: the facsimile attempts to replicate the look-and-feel and physical features of the original document; pages are trimmed according to the original format; the binding might not be consistent with the current document binding.